The Rome Foundation sponsors several education programs as part of our mission. The Rome Education Committee, chaired by Lin Chang, MD, was formed by the Rome Foundation Board at the December 2007 strategic planning meeting to educate physicians and other health care providers about functional GI disorders (FGIDs) through a variety of approaches. Since that time, we have developed a host of educational tools which reflect the latest research, engineered to guide health care providers with the most current and practical tools in the field of FGID. Join us for a unique continuing educational symposium in one of four unique destination locations, beginning Oct. 13-14th in Santa Fe, NM. 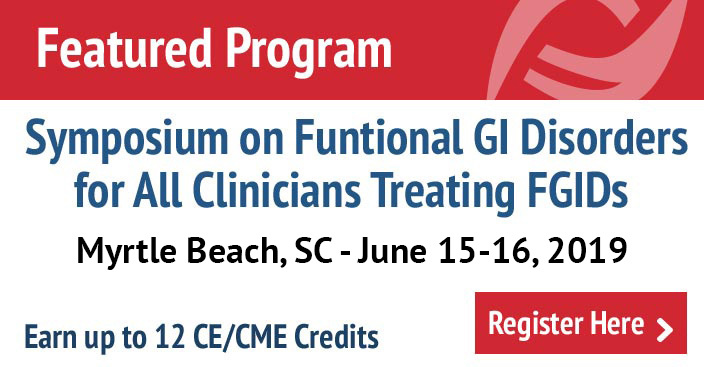 Hear from the world’s leading experts in functional GI disorders and experience hands on, interactive training in diagnosis and treatment for these diseases. Learn communication skills when dealing with difficult patients and hear about the latest in hypnotherapy and diet interventions for patients dealing with these difficult disorders. Register now! One of the goals of the Rome Foundation is to advance the scientific understanding of functional gastrointestinal disorders and to optimize their management. We have developed a new program to help address this new initiative and we are now accepting applications for 2019. For more information and to apply, click here. 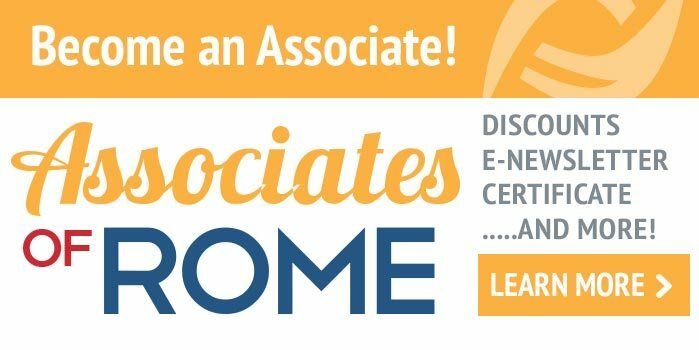 The Rome Foundation is seeking to enhance educational exposure in the area of functional GI and Motility Disorders to clinicians and trainees. For more information on how to apply, click here. The Rome IV Slide Set brings to life information from the Rome IV book, and also updates this information from the recent scientific literature. These state-of-the-art slides include a number of graphic images, tables and conceptual slides. They communicate ideas that are otherwise difficult to convey, and are fully up to date with key studies from the literature. More information on the slide sets can be found here. The Rome Foundation and the American Gastroenterological Association (AGA) are pleased to announce their 11th annual lectureship at Digestive Diseases Week (DDW 2018). The lectureship was designed to address broad aspects of health care that are relevant to digestive diseases and the functional GI disorders. An in-house training program is being developed at the new international training center at the Chinese PLA General Hospital in Beijing, China. The groundbreaking ceremony was held at a meeting in Beijing in October 2012 and beginning in 2013 Rome Foundation members will travel to Beijing to provide lectures and workshops in the FGIDs. In May 2011, we began a new educational initiative to highlight the most important abstracts on Functional GI and Motility Disorders presented at DDW. Several members of the Rome Foundation Board selected, reviewed and prioritized the highest quality posters and oral presentations at the meeting. Using this information the Foundation produced a CME webcast: “The Rome Update from DDW”. Click here to access the Webcast for DDW 2015. To access the 2011-2014 archives from this event, click here.